Being in an automobile accident can be very traumatizing. Out of nowhere your body experiences physical as well as emotional shock. In such an incident, it can be hard to think clearly and take the necessary actions needed not only ensure your safety at that moment but also prepare for any future complications the accident may cause. If you are able, assess your physical well-being as well as anyone else involved and if possible make sure everyone is in a safe position away from the road. Also, try to block or notify oncoming traffic of the accident if you can. If anyone has noticeable injuries, call 911 immediately to contact emergency services. If there are no noticeable injuries, then an ambulance is not needed and you will just need to call the local police to report the accident. In speaking with the police, try to remain calm and give them the facts about what occurred. The first documentation you need to gather is the names, contact information, insurance information and vehicle information of all those involved in the accident. Then, if possible, document the crash site by diagramming or taking pictures of each vehicle and noting or taking pictures of all injuries. 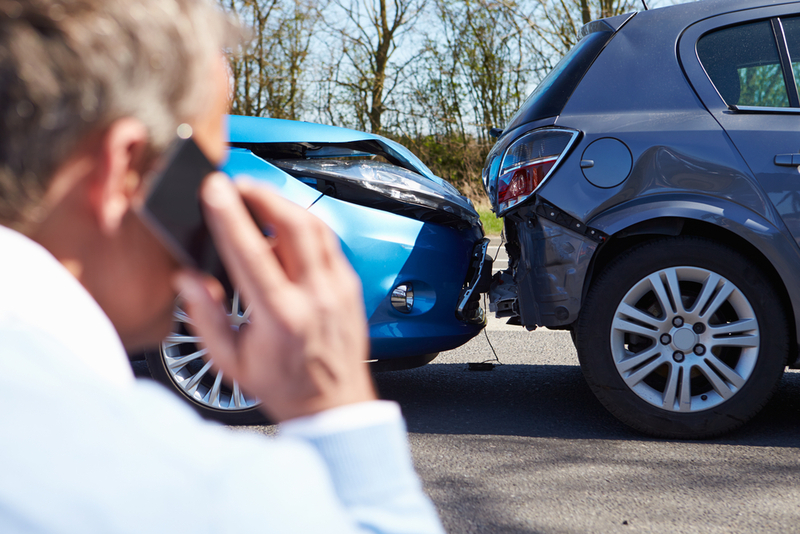 As soon as possible, you will want to record your recollection of how the accident occurred. It is crucial that you contact your insurance company as soon as possible so they are aware of any claims that you may be filing or that may be filed against you. Failing to promptly notify your insurance company could violate your policy agreement and leave you without coverage. You will need to undergo a medical evaluation as soon as possible after the accident even if you do not see or feel any injuries. The nature of auto accidents often causes undetectable internal damage. It is also beneficial to document any changes to your physical well-being for a period of time after the accident as some complications may take days to manifest. If you were injured in the accident by the fault of the other driver or other factors such as automobile defection, then you have the right to seek compensation for your injuries. However, insurance companies do not make it easy to file such claims and only want to pay the bare minimum required. That is why it may be in your best interest to seek the help of an experienced personal injury attorney. The attorney will fight for your rights and ensure that you receive the best possible compensation. Handling the claim on your own could be very stressful and less effective. The attorneys at Brock & Stout have years of experience handling personal injury cases and are dedicated to seeing that our clients get what they deserve. If you need help with your personal injury claim, contact us for a free evaluation.